Hatherleigh is a gem of a town nestling in hills on the edge of the Dartmoor National Park. The School website states "The building might be Victorian but the curriculum is up to the minute, varied and driven by an energetic and committed staff"
I can vouch for the staff's enthusiasm and commitment to the Teaching and Learning throughout my time working with the friendly staff. Background: Having met Caroline Boother at the Devon Primary Heads conference and understanding the problems she was facing with old, failing projectors and Interactive Whiteboards our discussion centered upon the New Interactive Touchscreens which offered flexibility of design / functionality to ensure effective Front of Class Teaching. Key obstacles - High Victorian Ceilings, large windows and budgetary constraints. Solution : The ICE G Gouch 65" Interactive Touchscreen enabled the removal of the old lengthy projector poles which previously aligned to the old smartboard. The bright High Definition LED Screen was able to replace both the old projector and the whiteboard and provides a perfect clear display without the classroom lights off or blinds being pulled down. The Spark Notebook software provided free with the Screens gives staff the confidence to use the Technology at their own pace and has the ability to work with 3rd party Smart/Promethean files. The interoperable approach also allowed staff to take advantage of integrating a GV50 visualiser therefore in real time demonstrating Children's work to the Whole class (for critique) via the Touchscreens, live annotating and recording at the same time. 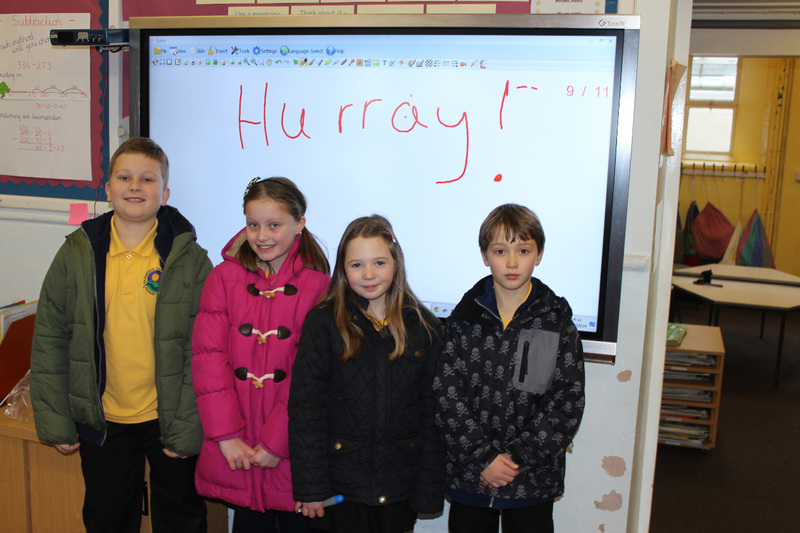 The first Screen was installed in December 2014 and inevitably the positive effect in Mrs Clark's classroom has already led to a second Touchscreen installed March 2015 as this technology is seen as 'roll out' solution to eventually all Classrooms. ‘This is an exciting, more sustainable resource and it is exciting to try out new equipment like this. We looked at several options when looking to replace the projector in the classroom and this appears the best option. Exeter Chamber of Commerce News (July 2015) : We have successfully installed a new Staff Management system at Ted Wragg Trust school which was installed in Summer holidays to ensure an increased level of safeguarding and awareness of which members of staff are on site. Ted Wragg Trust negotiations were extremely specific and Gary Bennett our Southern Education Consultant worked extremely close with the trust and all parties concerned to ensure their needs and ambitions of the Trust were met and future proofed to enable new Trust Schools to benefit from this IT Investment.